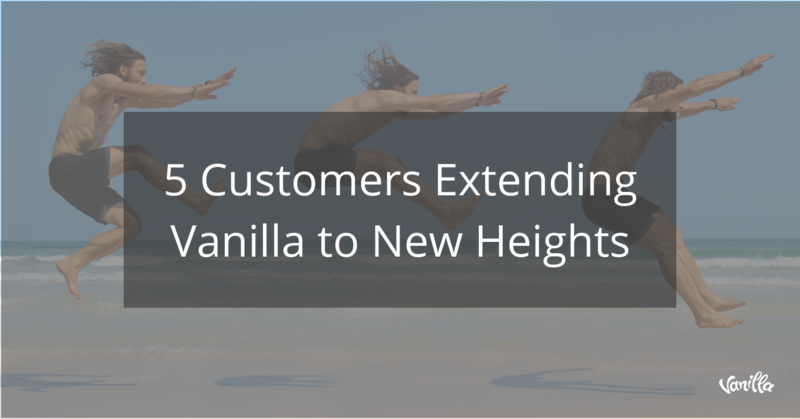 5 Customers Extending Vanilla to New Heights! Sometimes within a company you have these really great examples of how people are using your product, and somehow you only share it amongst yourselves. Sales people know the examples to share with prospects and our SuccessTeam™ who helped extend Vanilla certainly know them as well. However, somewhere along the line, we forget to show people publicly how our customers extend our platform. Well guess what?! Today we change that by sharing 5 customers extending the Vanilla platform. This is certainly not an exhaustive list, but a nice way to get your own creativity going. When Vanilla Forums was created, one the core ideas was that you would get a small, lightweight forum that you could then build upon. While customizing the look and feel of Vanilla has always been one of the hallmarks of our platform, we wanted to offer even a better solution for designers who wanted to get their hands dirty while future proofing their design. Recently I sat down with Isis Graziatto, our lead theme developer, who has spearheaded a new project to make it even easier to create beautiful, functional and responsive looking forums. The result is a new theme called Boilerplate. It’s a new way for our team to allow people to take their designs even further, while allowing us to have a bit more control as we release new features. Do You Wanna Know a Secret? Secret Groups Now Available! We recently did a release which included some very nifty features, like our new WYSIWYG (What You See Is What You Get) editor, and an exciting change for those of you using groups. Yes that’s right SECRET GROUPS ARE HERE! Before we delve into the details, let us do a quick review of the Group feature for those who don’t know about it. After many months of development, we are very excited to unveil a new Rich Editor, an enhanced WYSIWYG (what you see is what you get) experience. This project has been the culmination of much work amongst several developers on our team and we are so happy to finally share it with you. Why even bother with a new editor? Certainly, there are many people who will wonder why we bothered. Wasn’t our current advanced editor adequate? As with most things in Vanilla, we always strive for a better user experience and we drove to rethink the editor from the core. We paid careful attention to the kinds of editors people are now used to using, and what they have to expect. Automation. It’s a word that denotes simplifying repetitive tasks. Marketing Automation refers to a software your marketing department is probably already using to automate many repetitive tasks related to email marketing and website actions. 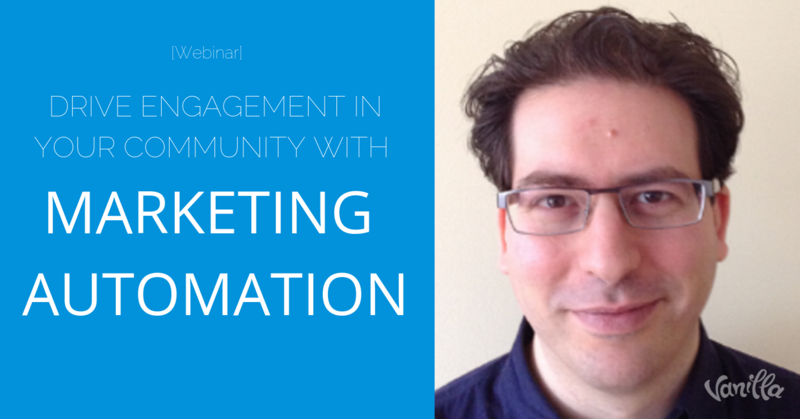 It’s certainly very powerful and something that you, as the owner of your online community, want to explore in connecting to your activities.